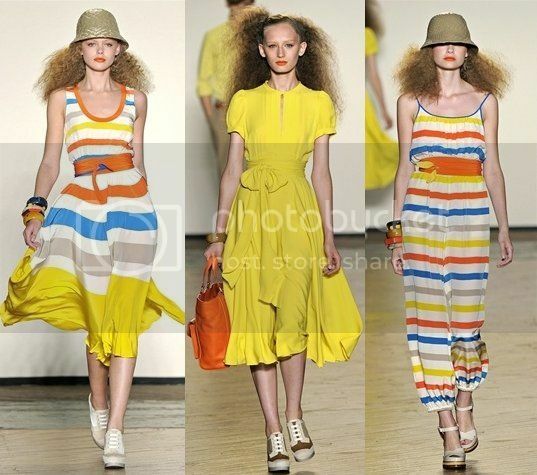 High end designer, Marc Jacobs' multi striped dress is definitely a fashion favorite. This lovely silky dress features layers of stripes in fun and bright colors, with a sash on the waist. The $628 dress has been seen on The First Lady of the United States, Michelle Obama for her trip to Brazil. 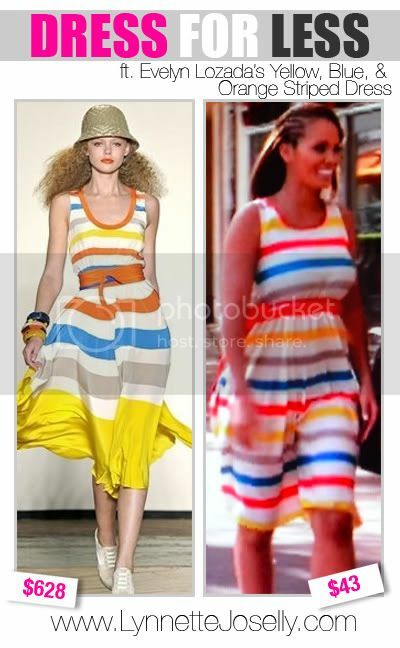 On one of the episodes of Basketball Wives Miami, Reality TV Star, Evelyn Lozada was spotted wearing a similar Marc Jacob's dress when she went to meet up with her assistant Nia Crooks at Angelique’s Restaurant. Evelyn shows off her true colors, and by this I mean, very colorful Summer Festival Striped Dress by Ruche. The dress went for $42.99 and is now completely sold out!